It’s a basketball “finger game.” I was hoping that the basketballs would float because they look like the perfect size of ball toy for him. Unfortunately, they didn’t. The base of the basketball hoop pole could be attached on a suction cup to hold it on the tank bottom, but I was worried Finley might try to swim through the hoop and get stuck. I was also worried that I might not be able to get all of the sticker (or sticker residue) off the backboard, so the hoop was attached over the top of the tank only. As of right now, Finley haven’t played any basketball yet. I’m thinking that maybe a floating chickpea could work for a ball. 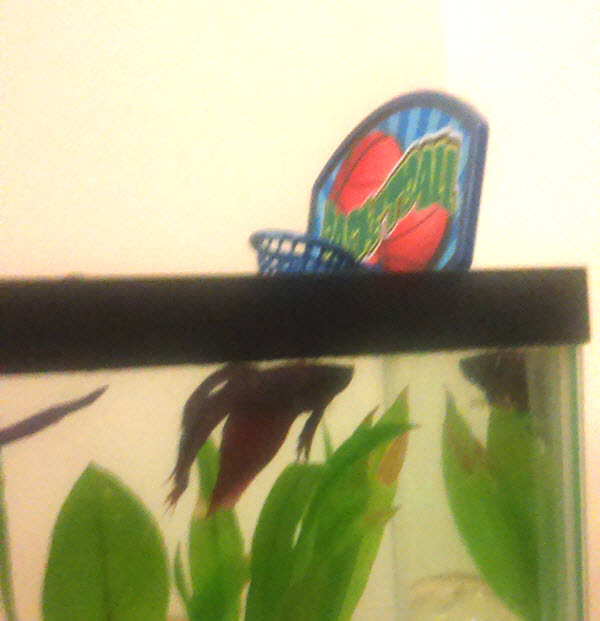 I’d try a floating blueberry, but if you saw the post Betta Fish Fun: Floating Blueberries, you know that Finley hates them. So, for now it’s just a cute photo shoot. Rather than actually training the betta to dunk the ball, you could train them to scoot the ball over to underneath the basket – I’d consider that a win! 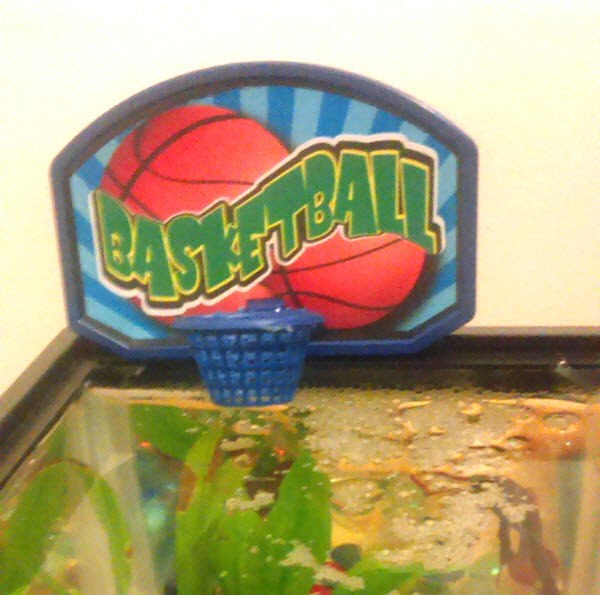 If you really want an actual fish basketball, there is a school for fishes (seriously!) that can teach fish to play basketball for real! It’s called R2 Fish School – you can see their products in the images below. They have an awesome sports package that includes an underwater soccer goal, hoops to jump through, obstacles to weave between, and so on. I think the props will be too big for this 2.5 gallon tank, but definitely something to keep in mind! There is also a mermaid hoop for aquariums that I found on Amazon, or you can do what I do and use Krazy Straws – Check out the Post Betta Fish Fun: Krazy Staws. If you’re interested in training your betta to play with these items, I recommend the target training method, which is where you train your betta to always ‘touch’ (go to) a target (I use a chopstick, but a straw would work) when asked. 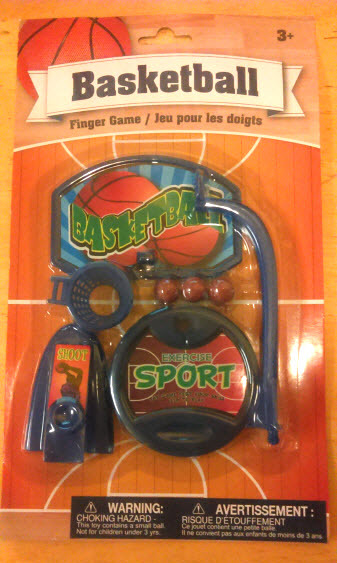 Once they know to go to the target, you can lead them through a hoop or over to a basketball they need to move, etc. You can read more about this in the post Target Training a Betta Fish.